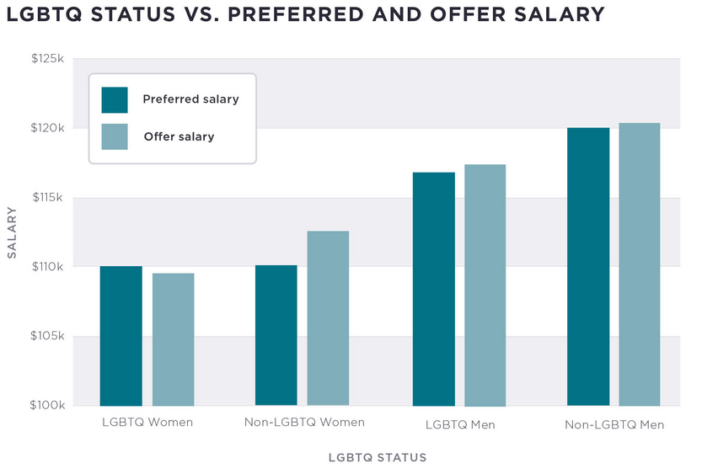 A new study from a San Francisco technology worker recruiting firm found that LGBTQ people were offered less money than straight people. The Hired released data from job offers and survey data of job-seekers who went through that recruiting firm. The data shows that men who identified as gay, bisexual, or transgender were offered almost $3,000 less than straight men. Lesbian, bisexual, and transgender women experienced the same pay gap compared to straight women. Straight women were offered almost $8,000 less than straight men. “When you combine LGBTQ bias, gender bias and any other bias, there is a compounding effect. That’s why women who identify as LGBTQ are ultimately paid less than other cohorts. 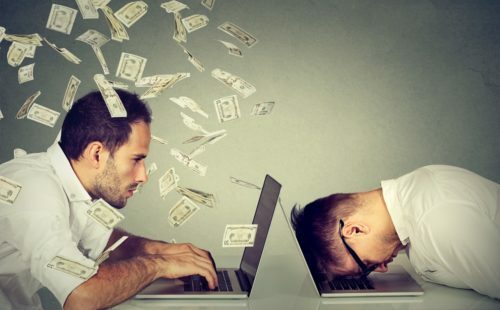 We see that salary expectations follow the same trend, which is likely a result of candidates basing their salary requests off of what they are currently being paid, rather than what the market value is for their years of experience and skillset. This approach just perpetuates the wage gap,” said Jessica Kirkpatrick, author of the report. The report is another indication that, contrary to the popular stereotype, LGBTQ people do not make more money than their straight counterparts. If even a tech firm in San Francisco finds that LGBTQ people who manage to get jobs in the tech industry make less money, then overall pay discrimination is probably higher.